Living… practically at Pinewood Studios. Colin wants to work in the film industry, and right after college he heads for London in search of a job at the famed Pinewood. Profession… third assistant director on a new film, The Prince and the Showgirl. It's a daunting position, with Laurence Olivier directing and Marilyn Monroe starring in the film, but Colin quickly proves himself to be an able and responsible member of the crew. Interests… films and directing them. And like any heterosexual man in the late 1950s, Colin is susceptible to Marilyn’s great seductive powers. 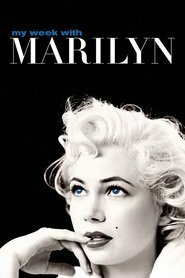 Despite her often melodramatic and mercurial behavior, Marilyn manages to charm the young Colin. Relationship Status… dating Lucy, an attractive wardrobe assistant who disapproves of Colin’s newfound friendship with Marilyn. Still, Colin doubts it'll be anything more than just friendship: no one is more surprised at the bond between Colin and Marilyn than Colin himself. Challenge… keeping his heart intact. Colin has been warned that Marilyn breaks hearts, and he must know that the week he is spending with Marilyn is far too good to be true. He even refers to it as “a dream.” Still, he understandably finds it hard to stay away. Personality… innocent, charming, and boyish. Colin is living every boy’s fantasy. Not only is he surrounded by the glamour of a movie set, he is privileged enough to have an up-close (and very personal) experience with the most famous (and desired) woman in the world. Still, it remains to be seen whether Colin's weeklong adventure will result in more happiness or heartbreak in the long run. Colin Clark's popularity ranking on CharacTour is #3779 out of 5,000+ characters. See our top-ranked characters and read their profiles.